Hi Ron Alan says its Lal Batty whose stood with Pete Lawson. 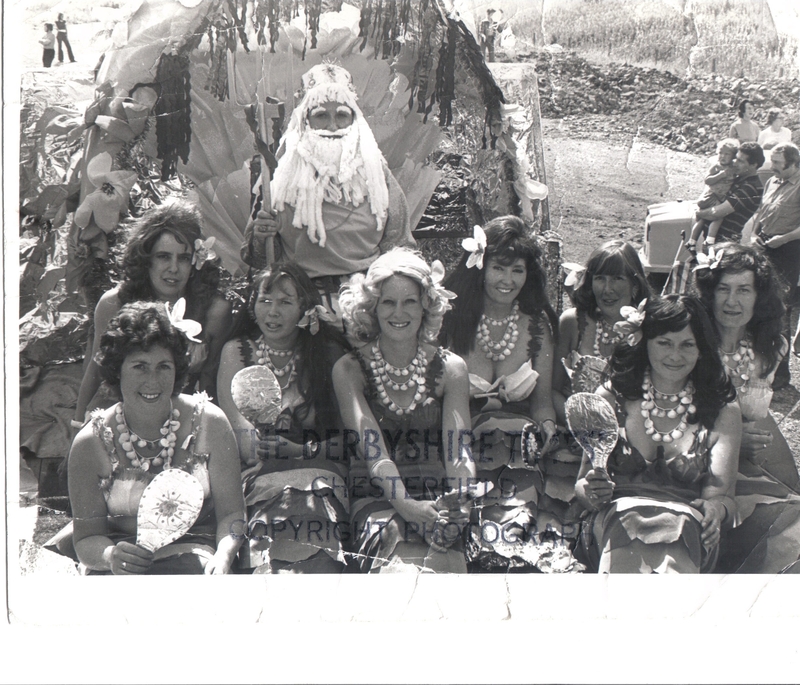 Killamarsh Gala Float Winners August 1975. Killamarsh Young Wives as Neptune and his mermaids. Kathy Lawson, Pat Bramhall, Ann ?, Janet Marshall and Marian Rutter.